This is quite unfortunate. 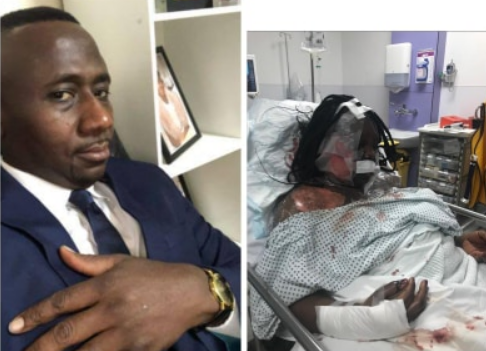 A Ghanian man identified only as Alex has butchered his wife and poured hot water on her in London after she dumped him for marrying a second wife. 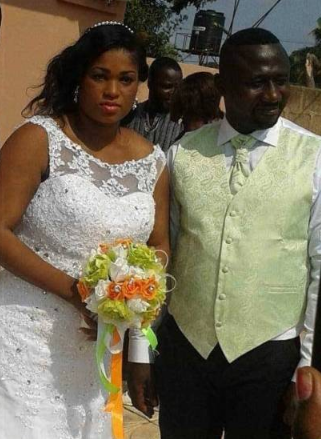 According to photos going viral on social media, the man reportedly married another woman in Ghana despite being married for two years to wife he just butchered. suspecting the husband after he had a conversation with someone on the phone and tried to hide it from her. After the man stepped out, she took his phone and picked the number. She later spoke with the number and found out that it's Alex new wife. The report claims she introduced herself and asked the second woman to leave her husband but the woman ignored her. The second wife stated that Alex has explained to her their marriage in London is not official according to Ghanaian culture because they just married in London without any family consent so she won’t leave the marriage. The first wife packed all her things and left the man despite the pleads from the husband. Just 2 weeks ago, Alex called the first wife to come for her mails. Without thinking twice she went there for her mail. Alex locked the door and attacked the woman with knives and scissors. He went as far as pouring hot water on her for leaving him. It was gathered that Alex took the wife to London so he feels cheated. Alex himself called the police after the assault. 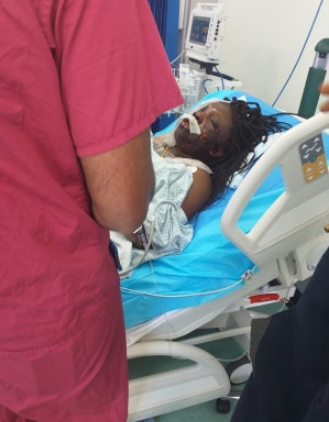 The woman was rushed to the hospital and he has been arrested.